Celena is trapped in a padded cell while another group calling themselves Rogue Accord is running amuck. With the original Rogue Accord disbanded and hiding from the law, will Celena find a way to escape her tormentor and reunite her team? She's Celena, of course she will. 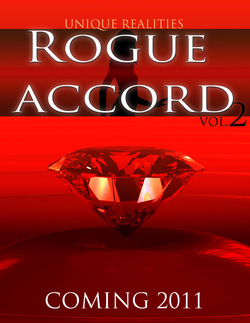 Back by popular demand, Rogue Accord Volume 2 is one its way. Prepare for the ultimate theft.